It is easy to convert asynchronous (streaming) events into a blocked wait in Matlab. Images can be automatically color-scaled for maximum resolution, using the undocumented MarkedClean event. linkaxes has a built-in limitation, so using linkprop may sometimes be beneficial. Matlab’s new HG2 graphics engine includes many new undocumented events that could be used in various ways. HG handle property changes can be trapped in a user-defined callback. Matlab’s standard menu items can and should be removed from deployed docked figures. This article explains how. 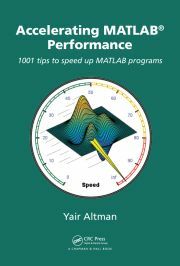 The Matlab waitfor function can be used to wait for asynchronous Java/ActiveX events, as well as with timeouts. Matlab plot axes ticks can be customized in a way that will automatically update whenever the tick values change.